If you have you ever finished an entire bag of veggie chips, then looked at the nutrition facts label only to discover that the amount you consumed was actually double what you thought it was, you are not alone. The good news: Confusing nutrition facts labels will become less of a challenge in the coming year. 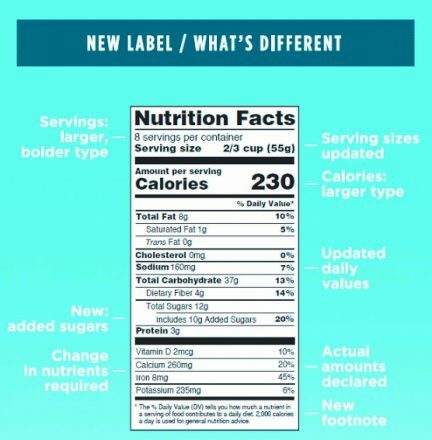 New updates to the Nutrition Facts Label will make it easier for consumers to make informed food choices, especially when it comes to counting calories, sugars and carbs. By July 26, 2018, all food manufacturers will be using the new label which emphasizes more realistic serving sizes and easier-to-understand nutrition information. You hear the word all the time, but do you truly know what makes up a calorie? Simply put, calories are energy. The caloric value of a food can be determined by measuring the composition of carbohydrates, protein and fat that make up that food. Carbohydrates and proteins contain 4 calories per gram, while fats contain 9 calories per gram. All calories are not created equal, despite what you may hear in the media. The FDA bases its nutrition labels on a 2,000-calorie diet. The footnote of the nutrition label will soon be modified to better explain what “percent Daily Value” means. The FDA writes that percent Daily Value is a percentage of the 2,000-calorie diet recommended as general nutrition advice, providing consumers with slightly more information to better understand the numbers presented on the label. This information is used as a general guideline; however, most people do not need 2,000 calories per day, especially if sedentary. For an elite athlete such as a basketball player or even an Olympic competitor, this information is completely irrelevant, as their caloric requirements are significantly higher. 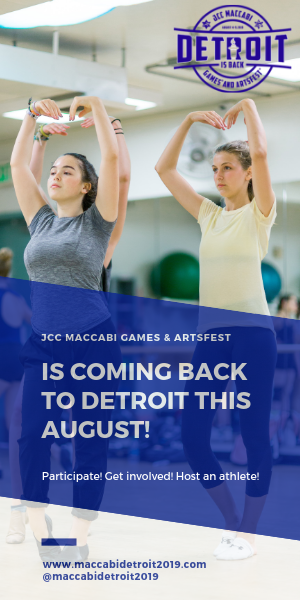 To best determine your caloric needs, there are many apps on the market that allow you to enter your personal information and level of exercise to determine your approximate caloric requirements. There is also incredible wearable technology making it easier for you to track your fitness and caloric needs. THE NEW NUTRITION LABEL: HOW MANY CALORIES ARE REALLY IN YOUR FOOD? With the July 2018 deadline quickly approaching, you will begin to see these subtle yet helpful changes on packaged food products. The goal is to create a consumer-friendly label that enables people to make informed nutrition and caloric decisions when putting fuel into their bodies. The modifications to the label focus primarily on the amount of food being consumed (the number of calories, nutrients, vitamins and minerals). According to the FDA’s website, the look and feel of the label will remain unchanged but FDA scientists have tweaked the image slightly in efforts to promote healthier living. Identified label changes will include an increase in font size of the calorie count, servings per container and serving size. In addition to font changes, the FDA is mandating that food manufacturers include the actual amount and percent Daily Value of vitamin D, calcium, iron and potassium on the food label. It is optional to include information about other vitamins and minerals, including vitamins A and C. What is the rationale for this change? The FDA states that on average, Americans consume enough vitamins A and C, but not enough vitamin D, calcium, iron and potassium, indicating that those vitamins and minerals are of more concern. According to the Centers for Disease Control, consumption of Vitamin D and potassium are essential in maintaining bone health, lowering blood pressure and reducing risk of chronic disease. When consumed in excess, calories from sugar can displace calories from nutrient-dense foods, making it more difficult to meet needs for fiber, vitamins and minerals, while staying within a healthy calorie range. It is important to read all labels for added sugars as a contributing source of calories. Sugars hide in foods such as tomato sauces, yogurts, cereals, energy bars, salad dressings, breads and more. The FDA has also done some research on dietary fat and consumer eating habits, leading to other changes on the label. After years of following the same nutritional guidelines, they have decided to alter the recommended Daily Values of sodium, fiber and vitamin D to align with recent scientific findings. They will no longer include “Calories from Fat” on the label because recent findings have shown that the type of fat is more important than the actual amount of it that contributes to the total calorie count. (The American Heart Association strongly suggests replacing saturated fats with unsaturated fats such as fish, nuts, seeds and avocado.) The changes also reflect the recommendation for a reduction in sodium in commercially processed and prepared foods. Referencing the percent Daily Value will allow consumers to make smarter decisions regarding their sodium intake, which will help reduce risk of cardiovascular disease. FDA findings have also concluded that today’s actual serving sizes are larger than the previously recommended serving sizes on food packaging. Therefore, food companies are required to change the serving size to meet actual eating patterns: A small package of food that is typically consumed in one sitting will no longer have a serving size of two, but will now be changed to a single serving. However, food manufacturers are presented with the option to label a product with two Nutrition Facts Labels — one for consumption per serving and one for consumption in a single sitting and one for consumption in multiple sittings. The changes made to the label are a small yet mighty step toward keeping our overall caloric consumption in check. Artificial ingredients, colors and preservatives are not as clearly incorporated on food labels, but they are just as crucial to your health as the other information that is provided. Therefore, it is imperative that consumers look at the “Ingredients” section, along with the other sections, to truly understand what is in their food. Remember, your caloric budget is not much different than your financial budget. You are allowed a certain amount of carb, protein and fat calories each day to spend on yourself. Unfortunately, we do not have unlimited calories (or dollars, for most of us) to spend, so we need to think about them and spend them wisely. How will you allocate your caloric budget in 2018?